Highland Yaks is all about adventure. And Transport. We specialise in providing transfers, shuttles and private hire. Because to have the best outdoor adventures you need to get to wherever your activity is – and back again – with all your kit. In other words, what you need is a transport service that’s, well, sort of exceptional. 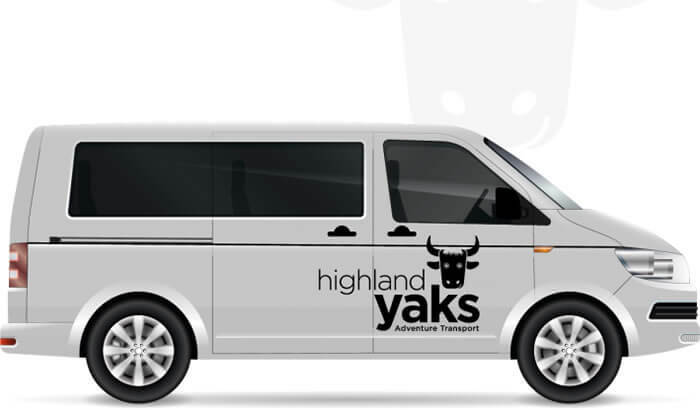 With expert local knowledge, bags of outdoor experience and trailers for all your gear, Highland Yaks is just that – a transport service with a difference. Whether you’re walking, biking, canoeing, skiing, golfing or touring a whisky distillery, our flexible and friendly vehicle and trailer service can get you and your gear to where you know you want to go, and to places you never knew existed. Transport really couldn’t be any more exciting. Ready to start that adventure? Hop in.